One of the highlights of the summer sports betting calendar is golf's Open Championship, which dates back to 1860. 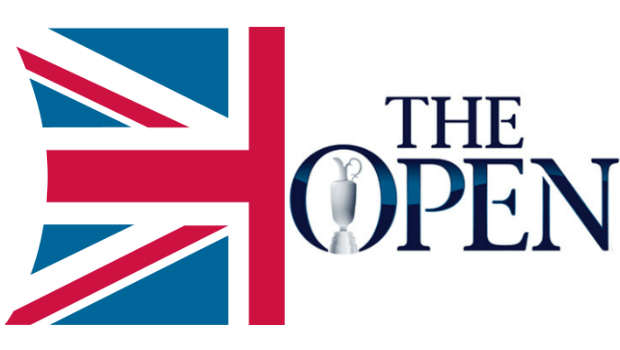 This year the event moves to Royal Birkdale in Southport, Merseyside, for the tenth time, running from July 20 to 23, 2017. Cutting-edge club faces may be helping modern golfers slice course records to shreds, but winning the Claret Jug requires a mature game. We've taken apart the field to look for the best golf bets available with reliable online bookmakers! Oppose The Young Guns at The Open? The British Open was won by a 25-year-old Rory McIlroy in 2014, and a 27-year-old Louis Oosthuizen in 2010, so it's well worth seeing if the fancied younger players merit a punt. Dustin Johnson looks worth opposing as 12/1 favourite with Bet365, given the fact he's failed to make the final weekend in his last two majors. The world number one is priced up on his ranking, not his current form, mental strength or capacity to handle such a tricky course. Next in the betting is Jordan Spieth at 14/1. He comes into the Open in decent form, but at the age of 23 it would take a very special performance from him to win. One player in decent heart is 28-year-old Rickie Fowler, whose top ten finish at the recent Scottish Open gives hope at odds of 16/1. Rory McIlroy's not looking like a form pick, but he can't be dismissed completely at 16/1 with most online bookies. One really in-form 25-year-old with a tight game suited to Birkdale is Japan's Hideki Matsuyama, who many consider the best player in the world on current form. At odds of 22/1 with PaddyPower, he's the one youngster who looks interesting with online betting firms, especially at the current odds. Adam Scott | The player who fits these fields best is 37-year-old Australian Adam Scott, who can be backed at a value price of 28/1 with Paddy Power. Scott played in the Scottish Open in preparation for the competition, finishing with a respectable two under par. He shot impressive scores of 69 and 68 on rounds one and four. Henrik Stenson | Stenson fits in perfectly, except for one stumbling block – he's defending champion! Nine of the last ten who lifted the Claret Jug have failed to follow up, with the exception of Padraig Harrington in 2008. But at 28/1 with Bet365 Stenson's a tempting proposal. Justin Rose | Justin Rose trends well for the tournament, but he chose to skip the Scottish Open in favour of the earlier Irish Open. He finished in the top four at Portstewart, got some links rounds under his belt and will be fresh to attack Birkdale. Odds of 20-1 with Bet365 for a player who finished fourth here as an amateur in 1998 could be a shrewd move. Backing Tommy Fleetwood at 25/1 at Bet365 is the romantic Open bet. Fleetwood grew up close to Birkdale and used to sneak on to the course to play as a child. The kid from Liverpool has gone from relative obscurity to being ranked 14th in the world. At just 26, his age looks to work against him, but don't forget he's had local knowledge of the course since he could walk. The Open Championship betting market has plenty of value in the golf betting odds, so there's scope to split your stake and wager on the experience of Henrik Stenson and Adam Scott, while still having a play on young prospects such as Tommy Fleetwood and Hideki Matsuyama, or take a punt on McIlroy. Back your preferred player in the Open Championship at bet365 today!